My mother, Margaret Towner, known to millions of Star Wars fans across the world, passed away on April 10 at the remarkable age of 96. In 1997, she had travelled to Bray Studios to be interviewed by George Lucas (whom she admitted she’d never heard of) for the part of Jira in The Phantom Menace. The result led to Star Wars conventions across the country and fans requesting ‘selfies’ on the doorstep of her Victorian terraced house in Twickenham – once the home to Ringo Starr in the Beatles’ 1965 film Help. Margaret was born in Rio de Janeiro, Brazil, and moved, aged five, with her family to England. In 1938, she enrolled at RADA and recalled in her memoirs, How Could You Have Done This Without Us, her days being filled trailing from one theatrical agency to another with a large folder of photographs – “All looking singularly unlike me” – in the hope of work. Occasionally she got the odd day on a film like 1940’s Under Your Hat, with Cicely Courtneidge and Jack Hulbert. Playing one of several gangling girls and being quite a bit taller than any of them, it wasn’t difficult for her to be noticed, easing herself comfortably into every shot behind Miss Courtneidge. Her first play outside RADA was a daft little comedy set in a nudist camp called The Bare Idea. She toured the play with three strippers, who halfway through the second act appeared “absolutely starkers” in the French windows before the onslaught of nightly bombing raids brought it to a close. With ENSA, she toured in The Amazing Doctor Clitterhouse, where she met her future husband, Raymond Francis, later to become one of television’s great detective stars, Superintendent Lockhart in No Hiding Place. In order to raise a family, she reluctantly withdrew herself from the industry for almost 30 years. On the death of her husband in 1987, she reapplied to Equity and received honorary membership. And so, at the age of 67, Margaret Towner’s career finally took off. Within a short time, she appeared in a number of fringe theatre productions (including a one-woman show at the King’s Head, Islington) and episodes of Casualty, The Bill, Keeping Up Appearances, Little Britain, My Hero, Doctors, and the dark, allegorical fantasy film, the Wolves of Kromer. 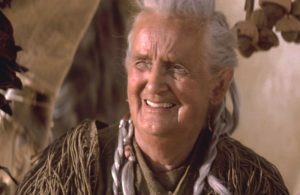 But it was her short but significant role as Jira, who befriends young Anakin Skywalker, in Star Wars: Episode I, The Phantom Menace (1999), which gave her a dose of celebrity status, especially among all her grandchildren, who were in awe of her. In 2013, aged 93, she returned to television as Edna in Ricky Gervais’ award-winning comedy-drama Derek. 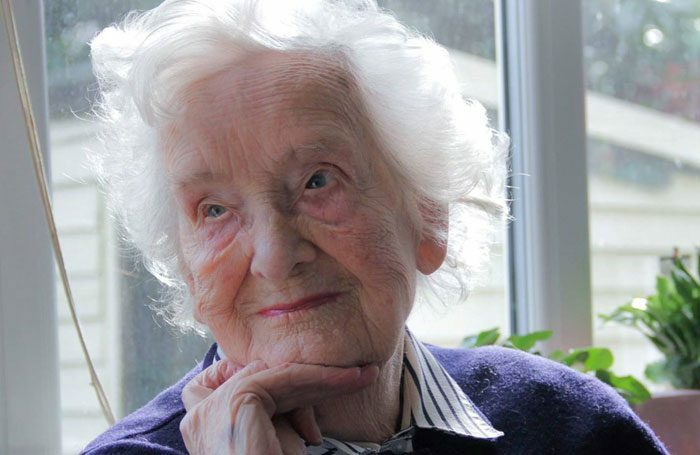 At the time, she was probably the oldest working actress in the UK. 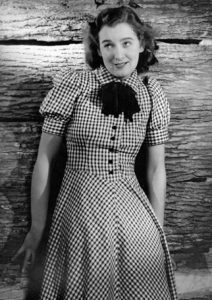 Margaret Towner was born on October 1, 1920, and died on April 10. She is survived by her daughters Caroline and Frances, and her actor son, Clive Francis. 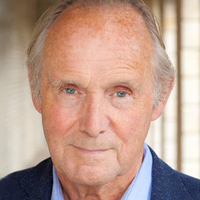 Clive Francis is a stage, television and film actor and cartoonist.